The £40,000 Community Project Fund – supported by £30,000 funding from the Greggs Foundation and £10,000 from Central Scotland Green Network Trust (CSGNT) – will provide one-off grants of up to £1,000 to support small-scale greenspace initiatives and to foster community engagement in maintaining and enhancing the local environment. The fund aims to increase community use of local greenspace, particularly within disadvantaged communities, which will have a positive impact on the quality of life for local residents. At least 40 grass-roots projects will receive funding through the initiative and these can range from conservation and educational schemes, such as developing a safe natural learning space for children, community gardens for local groups to tend, and biodiversity activities such as planting and improvements to ponds and wetlands to protect local wildlife. Woodland arts activities and feasibility projects can also apply for the funding, as well as any other new and innovative ideas which engage local communities. Groups can apply for funds up to £1,000 for projects carried out within the CSGN boundaries. The deadline for applications is 12 noon on Monday 1 May 2017. 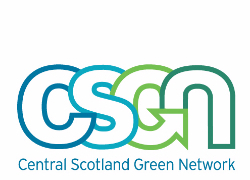 For further information and eligibility criteria please visit the CSGN website.